Explore the world through wine & spirits as we add new items to our collection weekly. As our way of saying thank you for shopping with us, you’ll earn $10 back for every $200 spent with us on wine or $10 back for every $285 spent on spirits! Your account is automatically created at checkout and so just use the same log in on our app and website to earn points via both platforms. Stock up and save with 10% OFF your order when you buy 12 or more bottles. No promo code required as your discount is automatically applied to your cart! 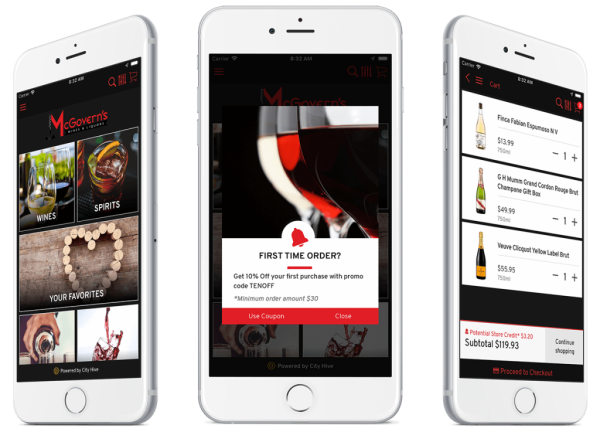 Order on the go, browse your purchase history, get notified of weekly tastings, and never miss out on promotions when you enable push notifications on our mobile app.